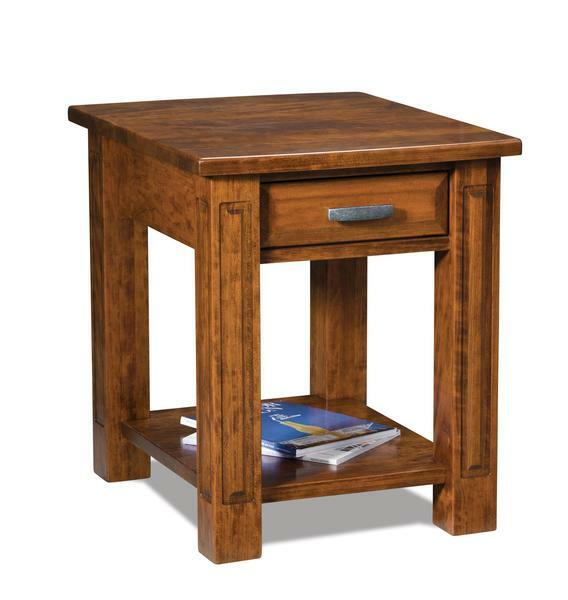 Our Amish Lexington Open Table with Drawer is a traditional design with a boat shape top and bold features like a beveled drawer front and deep insets on the legs. Store coasters, remotes, and more in the full-extending drawer which can be custom made with soft-close undermounts. An open shelf provides a place for books, magazines, and other decor. Shown in sap cherry with vintage antique stain, this open occasional table can be made from a variety of wood types and finishes. It can also be custom made 5-inches wider.